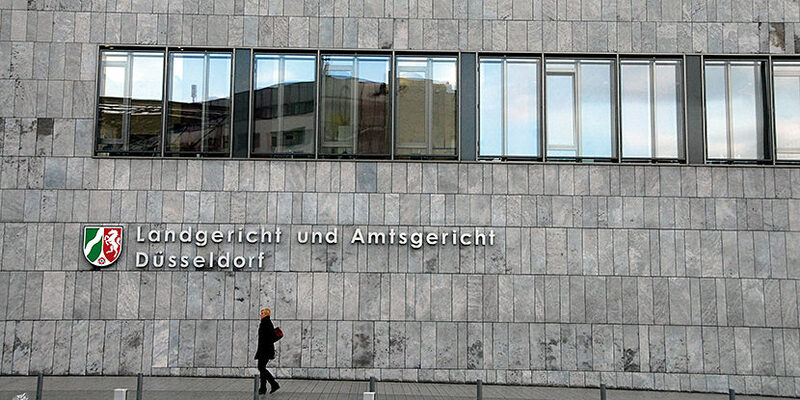 486 patent suits were filed at the three patent chambers of the Düsseldorf Regional Court last year. The court has now published these figures for the first time. As expected, the patent court is ahead of other German specialist courts. In the same period, Mannheim Regional Court registered less than half as many patent cases with 215. Figures from Munich Regional Court are yet to be released, but experts believe these will also be lower than those in Düsseldorf. Following a request from JUVE, Munich Regional Court has agreed to publish its figures in the near future. The Civil Chambers 4a, 4b and 4c in Düsseldorf received a total of 499 new cases last year, 18 percent more than in the previous year. 13 of these cases are divided between utility model suits, employee invention rights and plant variety rights, the remaining 486 are purely patent disputes. The court saw a similarly high number of new cases in 2015, namely 498. It is not known how the number of purely patent proceedings has changed in recent years as these were not separately disclosed. The chambers have recently stepped up their productivity: The number of closed cases rose by 14 per cent between 2015 and 2017. Düsseldorf Regional Court was the first patent court in Europe to publish case numbers. The numbers have now confirmed what IP experts had long suspected: About one third of European patent disputes are heard before the Düsseldorf patent chambers. The Düsseldorf Higher Regional Court also intends to follow suit and publish figures for the two patent senates. While there are no official statistics on how many new patent infringement cases are filed every year at other major IP chambers such as London, Amsterdam, Paris, Milan or Hamburg, JUVE’s research indicates that more than half of the 1,500 new patent cases in Europe are filed at German courts. However, the rise in the number of closed cases in Düsseldorf does not always mean that the parties to the dispute receive a quick ruling. Patent lawyers unanimously report a duration of approximately 20 months between the filing of the complaint and the oral hearing, followed by up to four more months until the judgement is reached. The patent courts in Munich and Mannheim are considered to be faster. In Munich, parties report it takes little more than a year from the filing of the complaint to the judgement. But speed, as always, is not everything: Düsseldorf is still regarded as the more experienced patent court with two top-class higher regional court senates as an appeal instance and is therefore popular with plaintiffs. Düsseldorf, Mannheim and Munich are the three most important patent courts in Germany, followed by Hamburg. Other well-known patent chambers include the regional courts of Braunschweig, Frankfurt and Nuremberg. Each of the top four are also to host a local chamber in the European patent court system, although it is well known that the Unified Patent Court is currently blocked by a constitutional complaint.